360 Eyecare is a proud sponsor of Optometry Giving Sight. More than 600 million people worldwide are blind or vision impaired because they cannot acess eye exams and correction. 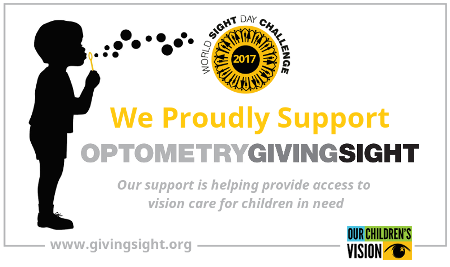 Optometry Giving Sight (GivingSight.org) is the only global fundraising initiative that specifically targets this issue, helping train local professionals, establish sustainable vision centers and deliver eye care where it’s needed most. It is also important to us to give back to our local community. For the 2018 year we are proud to announce our sponsorship of the Beach Community Soccer League!